Our movers are friendly and experienced and take great care when packing and moving your belongings. We’ve worked hard to earn the trust of our customers during our five years in operation, and we know we’ll earn yours as well! 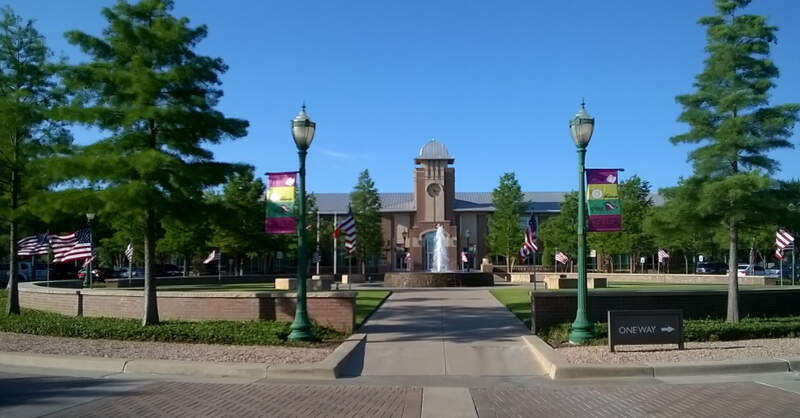 Keller, a suburb of Dallas Fort Worth and city in Tarrant County, advertises itself as “successfully balancing big-city comforts with small-town charm.” Big city comforts they have in spades, and the small town charm can be found in Old Keller. The city has expanded over the years and continues to grow year-over-year. We have well-maintained moving equipment and some of the largest moving trucks in the Dallas Fort Worth Metroplex. Our team has experience whether you are moving into the area or staying in Tarrant or Dallas counties. Contact our full-service moving company in Keller, Texas, to prepare for your upcoming move. Moving in a city like Keller in DFW isn’t the easiest thing in the world. You have to pack up all of your things, move them, and then unpack everything. It’s really quite a pain! That is why when you are ready to make your big move you want to trust the team with your most important belongings, furniture, and boxes. Don’t let those worries eat away at you: call a professional Keller moving company today! 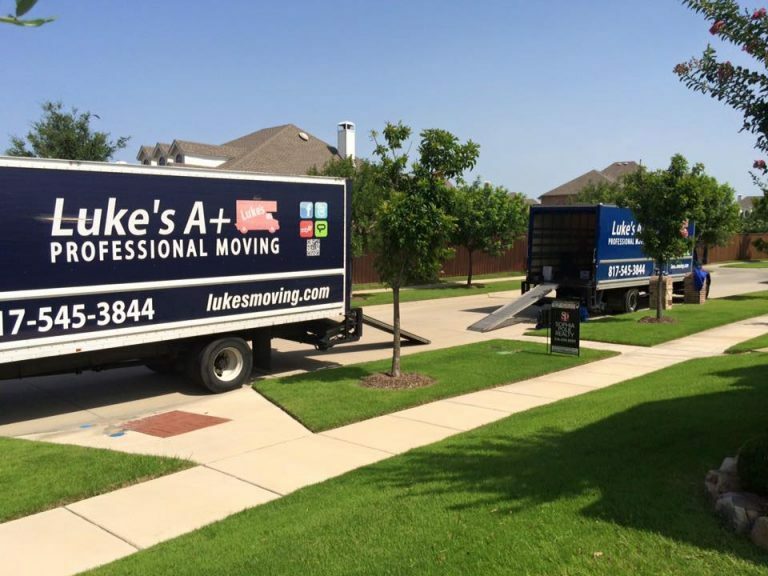 Luke’s A+ Moving Company is your best choice for the perfect Keller moving experience. We’ve been moving people in the Dallas Fort Worth Metro Area for years. We have the know-how you need in a locally owned moving company. Everything will be done so that your moving day is as easy as can be. Unpacking services will be provided at an additional cost. And if you’d like to pack things yourself we offer free delivery on affordably priced packing supplies. Luke’s A+ Professional Moving Services can handle both pre-booked and same-day jobs. We guarantee to keep your belongings safe from beginning to end. We also ensure your furniture, walls, and doorways are never damaged in the process. If you have a gun safe we’ll attach it to an appliance dolly, which can hold thousands of pounds. It’ll be secure in the move, and upon arrival, we bring it up or downstairs as needed. Keller, Texas, had nearly 40,000 people at the last census, and it’s sure to have more by now. Many people love moving to Keller because of the safe and friendly environment, as well as its close proximity to the Dallas Fort Worth Metro Area. In fact, Keller’s just 32 miles from downtown Dallas. Keller is nearby other growing cities like Southlake, North Richland Hills, and Roanoke. It is home to a well-known school district and has easy access to interstate 35, highway 114, and highway 170. Many people love moving to Keller because of the safe and friendly environment. In the Federal Bureau of Investigation Uniform Crime Reports statistics, Keller consistently scores as a very safe city. It is heavily residential with 11 park sites and more than 26 miles of hiking and biking trails. This family-centered city offers an exemplary education with the highly rated Keller ISD serving more than 34,000 students among 39 campuses. In around 1845, Keller was first settled by a group of families from Missour. The area was known as “Double Springs” for the 2 large springs about half a mile north of the church. By the 1850s, they established Keller, and the town became a stop for the Texas and Pacific Railway, bringing a cotton gin, a grist mill, a blacksmith shop, and several stores to the area. They chose the location due to the Trinity River water supply and the abundant farmland. One source of Keller’s serenity comes from having no contact with any interstate highways. Though not far enough away to be a nuisance. Roads lead easily to I-35, highway 114, and Loop 820. Keller is only 26 miles from downtown Ft Worth and 32 miles from Dallas.